Lilla P S/S Pocket Tee (Lemongrass) Tees at Blush, Ltd.
Our short sleeve pocket tee has the perfect proportions. 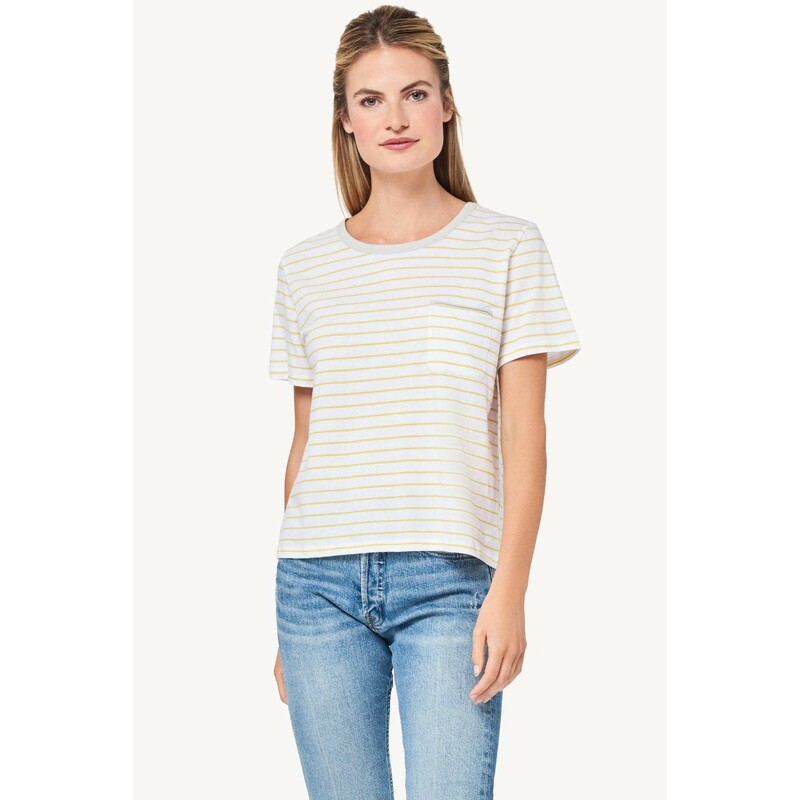 With longer sleeves and a shorter length, this tee has a slightly boxy fit and looks great paired with the terry pants or your favorite denim. The contrast rolled edge trim along the pocket adds a nice extra detail as well. The length is 23.5" on a size medium.